Pokerstars is the largest online poker operator in the world, with an unlimited choice of games available 24/7 and runs the biggest online poker tournaments and events. Pokerstars is the world’s largest online poker room, with an unrivalled level of traffic ensuring that there are always thousands of tables and different game varieties to choose from. Established since 2001, it is the home to the WCOOP (World Championship of Online Poker) and the biggest weekly tournament (the Sunday Million Guaranteed Tournament), truly leading the field for large tournaments and events. PokerStars is the largest online poker operator in the world and it’s software is of a very high standard. The software is robust and stable and you very rarely experience any downtime from the servers. The graphics are simple and uncomplicated which ensures that the software is not a strain on your system resources. Instead of characters at the table you are given a circle where you can add your own personalized avatar. Multi-tabling at PokerStars is made easy by the rare feature of being able to resize the table windows, so you can resize the tables to fit any portion of the screen you want which makes playing multiple tables on one screen a breeze up to the maximum of 24. The software also provides many other features such as Player Notes, Hand Histories, and individual player stats giving you all the tools you need. The lobby is easy to navigate and it presents all the information you need to find the game you’re looking for quickly and without hassle. Pokerstars is available for both Windows and Apple Mac platforms, and is also available for mobile and tablet platforms on iOS (iPad / iPhone) and Android. As the largest online poker room it boasts a high player traffic thanks to it’s aggressive TV advertising strategy and live poker tournament sponsorship over the past few years. During peak hours you will find an average of 37533 Ring (cash) Game players and many more Tournament players online. This level of traffic is unrivalled and means there are thousands of tables or tournaments to choose from at any one time. You will find pretty much all variants of Poker available at Pokerstars, including Texas Holdem, Omaha, Omaha Hi/Lo, 5 Card Omaha, 5 Card Omaha Hi/Lo, 7 Card Stud, 7 Card Stud Hi/Lo, 5 Card Draw, 2-7 Triple Draw, Razz Poker, Courchevel, Badugi, Mixed Game Poker, Sit & Go Tournaments, Multi-Table Tournaments and all with very decent traffic levels and table availability. You can also play the latest craze in the poker world which is “fast fold” poker and Pokerstars have their own version which is called Zoom Poker. PokerStars is known for it’s tournaments and it holds some of the biggest on the internet. The showcase tournament is the weekly PokerStars Million tournament held each Sunday with a guaranteed prize pool of $1million, but there are lots of other big daily and weekly tournaments. Each year it also hosts the World Championship of Online Poker (WCOOP) which is basically the online equivalent to the World Series of Poker (WSOP) and for a period of about 15 days each year a series of huge prize pool tournaments takes place – this year there is a guaranteed prize pool of $40million for the WCOOP. Player Toughness at PokerStars is average. It’s not the softest online poker room due to the fact that pretty much every poker professional and regular poker player has an account at Pokerstars in order to play in the big events. However with the size of player base they have they also attract many new and inexperienced recreational poker players who are new to the game and don’t understand basic poker strategy. 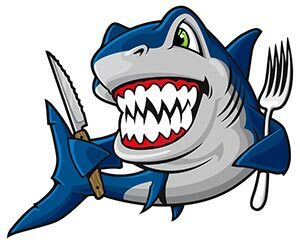 So although you will also find your fair share of better players, especially at the higher stakes tables and attracted to it’s large tournaments, there are still plenty of fish to target. 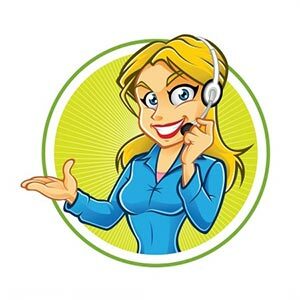 As you would expect from the market leader, the support service offered by PokerStars is excellent and in most cases you will have a response in minutes from their knowledgeable and helpful staff. They offer a 24 hour email support service which is on hand to resolve your problems quickly and efficiently. From my tests support queries I received a very fast response and helpful solutions. PokerStars offer all popular forms of deposit including credit cards and popular online eWallets such as Neteller, Paypal and Skrill. For full details see the data section of this review. Withdrawals are usually made to the same card that you deposited with, and will usually take between 1 to 4 days depending on your card operator. Withdrawals via Neteller normally take about a day. The rake is the commission charged by the poker room and at Pokerstars they charge anywhere between 3% and 4.5% up to a defined maximum per hand of between 1 cent and $5 depending on the type of game you are playing and the stake levels. There are just too many stake levels and game varieties to go into any more detail here, but for a full list of rake tiers see the Pokerstars website. PokerStars offers a 100% bonus up to $600 on your first deposit. For this you should use the bonus code STARS600 on any of your first three deposits. On top of this they also offer an additional $20 free play when you deposit at least $20 which will be credited to your account within 36 hours when you use the bonus code FREE20 when making your first deposit. PokerStars also offers an excellent Frequent Players Points scheme which you accumulate as you play. These points can be used to buy merchandise or to enter tournaments, or even trade in for cash. It also sends the most qualifiers from the internet to the World Series of Poker each year and is the home of many of the WSOP winners who qualified for the $10,000 entry tournament for a few dollars on Pokerstars and walked away millionaires. In fact you can find qualifier tournaments to any large poker tournament around the world. 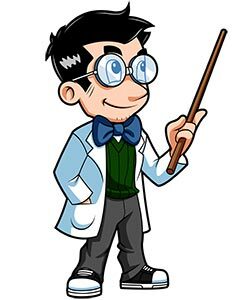 All of above ensures that any Player from the Poker Professor Community who signs up to Pokerstars using any link on Poker Professor gets an excellent welcome package. 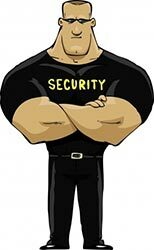 PokerStars is one of the leading online poker operators and they take security very seriously. They have encryption in place to make sure your data and transactions are secure and they have anti collusion methods in place also. 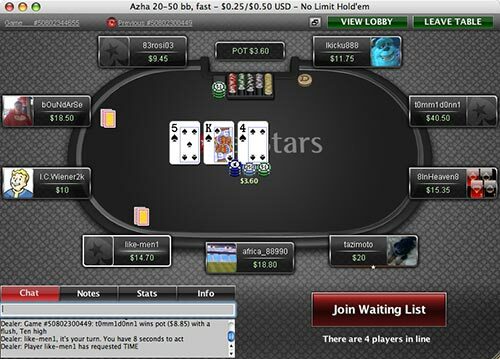 There have been no reported security problems at PokerStars and it is a safe place to play at. 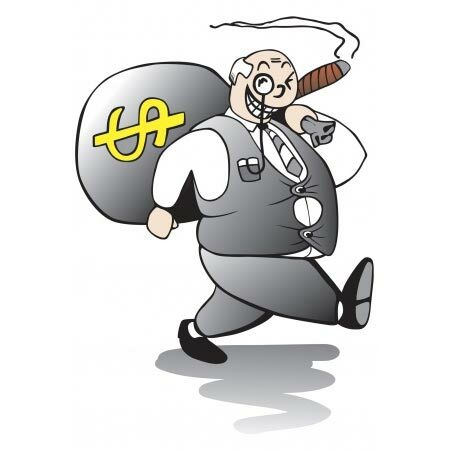 They earned very high credit in the poker world with their handling of the “Black Friday” seizures by the US Department of Justice where an amount of many hundreds of millions of dollars of player withdrawals was intercepted and held by the DOJ. 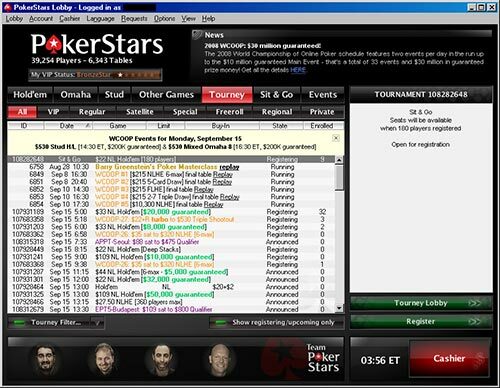 Pokerstars acted honourably throughout and ensured that players were not left out of pocket, irrespective of the cost to themselves.